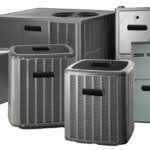 Home » All Posts » What Are the Different Types of Home Air Conditioners? 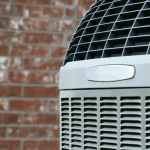 What Are the Different Types of Home Air Conditioners? then you may be wondering what the choices you have when it comes to selecting a type of air conditioner. We’ll briefly list the air conditioners in each of these categories and their benefits. Central air works in tandem with a forced-air furnace’s blower to provide air to your entire home through ductwork. Who usually buys central air conditioners? An old central air conditioner – If you have a central air conditioner in your home already, it makes sense to replace it with another central air conditioner (since you already have the existing ductwork.). A larger home – larger home means more spaces that need cooling. A family – The more people that live in your home, the more you’re going to want central air to keep everyone equally as comfortable. 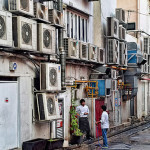 The budget for it – Central air conditioners cost about $1,500 a ton. But you can lower the cost with federal tax credits and make it easy to pay off with financing. Room air conditioners are self-contained cooling units that can only cool one room at a time. Who usually buys room air conditioners? A small space to cool – They’re perfect for an apartment or mobile home. No ductwork or limited ductwork -, installing ductwork costs more money. Hard to cool spaces in their home – Even if you’ve invested in central air, there are some rooms that seem hard to cool. Room air conditioners can be a great supplement in this case. Just make sure the room isn’t hard to cool because of leaky ductwork. When it comes down to it, you need to assess your budget and home’s needs to figure out what kind of air conditioner is best for you. If you determined that central air is the best for your Northern California home, Service Champions provides and installs a variety of energy efficient central air conditioners. Contact us online to get a FREE estimate.